Host your child’s birthday party in our DLR Leisure Loughlinstown facilities, We offer a wide range of programmes basketball/ football/ dance/ archery and so much more. 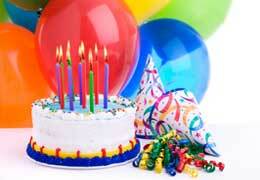 Bring your own party food or Cobbetts Café now available to cater for food for Birthday parties. Pop into our centre and have a chat with one of the staff or call to find out more information 01 – 2823344 or go to the DLR Leisure web site.